The legal profession is one of the most recognizable and exalted vocations anywhere in the world. The face and head of any legal team is of course the lawyer, who is customarily supported by a retinue of staff. They include legal assistants, paralegals, law clerks, and law secretaries. Paralegals have greater knowledge of the law and legal procedures than any other assistant. In fact, they at times perform tasks that are nearly indistinguishable from that of lawyers. Paralegals now have better qualifications and expertise, which makes them indispensable assistants to lawyers, judges, and lawmakers. How long does it take to become a paralegal? Over the years, the profession has evolved and differentiated itself from that of other legal assistants. 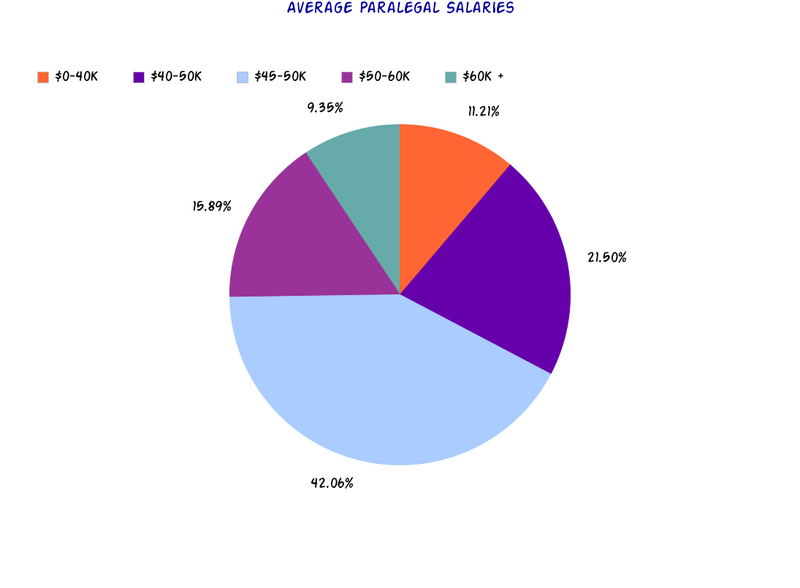 Here is an in depth look at the requirements, qualifications, salary and career prospects for paralegals today. There are several ways of becoming a paralegal, each with its own merits. However, it is important for any aspiring paralegal to have an interest in the law and its workings. For this reason, it is advisable to get any job in a law firm or practice. This will give you an inside look at what lawyers and other legal practitioners do. Furthermore, an aspiring paralegal will require great writing and communication skills. This is because the work of a paralegal entails drafting documents, interviewing, and communicating with clients and other legal professionals. Should you decide to pursue the profession, there are both formal and informal routes that you can take. Here is a look at both. Many paralegals begin their careers as assistants to lawyers, usually after completing a high school diploma. They do not have formal training, and are fortunate enough to receive training while working as legal secretaries. They start out by doing simple tasks, like organizing documents and taking calls. A lawyer’s assistant can be then supervised and trained on the job to carry out more complex work. This includes drafting correspondence and legal documents, and filling paperwork. Working alongside a lawyer gives the assistant an inside look and understanding of paralegal work. This is the most cost effective and preferable route for those who cannot afford formal training. However, landing such a position in today’s job market may not be easy without formal training or experience. One can also become a paralegal by pursuing paralegal studies at a college, just like any other profession. Before joining any paralegal education program, it is critical to assess its reputation and quality. This will ensure you obtain a recognized qualification that can boost your career prospects. The best way to do this is by checking the school’s accreditation. This is a stamp of approval from recognized agencies. This may either be national, regional or even distance accreditation. One of the top accreditation agencies is the American Bar Association. These degrees can be pursued full time at a college or part time via online programs. The latter option is suitable for working individuals, who may not have adequate time for full time study. Award of the degree will require an internship at a lawyer’s office or such relevant work experience. Post baccalaureate certification in paralegal work is also offered by other schools. This is tailored for students who already posses a bachelor’s degree in any field, and wish to enter the profession. It is also suitable for those who want to make a career change after college. These certification programs take between six months to a year, and train the student in all aspects of paralegal work. The National Association of Legal Assistants (NALA) and the National Federation of Paralegal Associations (NFPA) are the two major paralegal associations in the country. These two bodies offer professional certification for those with paralegal education, including an associate degree or post baccalaureate certificates. These certifications also entail certain work experience requirements, passage of a qualifying exam, and participation in Continuing Legal Education (CLE). The legal profession cannot function without the important contribution of paralegals. As lawyers get more clients, the job prospects of paralegals will continue to improve. Job opportunities are expected to grow by almost 20% over the next 15 years, according to the Bureau of Labor Statistics. Many paralegals improve their career prospects by having dual degrees in related fields. This makes them more attractive to specialised law firms. For example a personal injury law firm will prefer a paralegal with additional training in a health related field. So to summarize how long does it take to become a paralegal? Up to two (2) years when going after a formal degree, a few months when obtaining a certificate through a program and an unknown time based on informal training.